According to The Independent newspaper, French playwright Florian Zeller is ‘one of the hottest literary talents in France’ and he is still only in his thirties. One certainty about his plays to date is that nothing is ever certain. His intriguing 2014 play entitled, 'The Father', is no exception and is Athlone Little Theatre’s final production this season. When asked why he chose this particular piece to perform, director Ollie Hegarty replied that in 2016 the play was the most talked-about play in London, returning to the West End for a second run. He says this poetic and thought-provoking writing about a challenging subject will touch the hearts of everyone who comes to see it. He adds the subject matter charts the intimacies, tensions and disruptions to family dynamics and is a deeply moving study of attachment and love. It gives us a glimpse of how one family’s members negotiate the lifelong challenge we all face of continuously trying to love each other unconditionally – not an easy ambition to sustain over a lifetime. 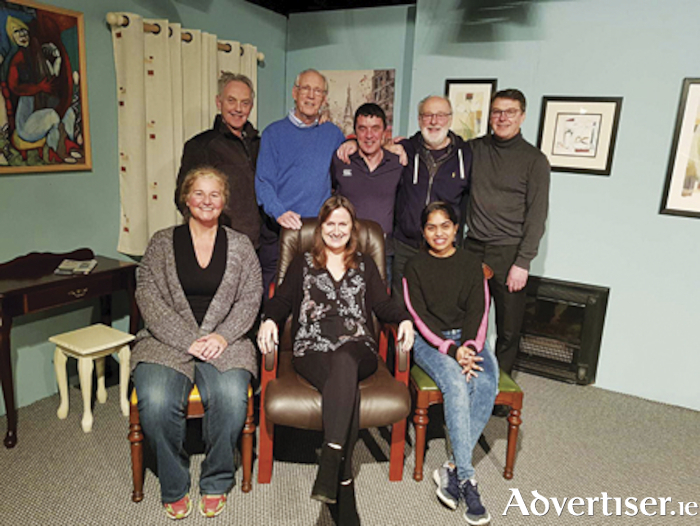 The director has assembled a stellar cast, the majority of whom share lots of stage experience in Athlone Little Theatre. Clive Darling plays the hugely challenging lead role of André, the Father. Ollie says that it’s a richly complex role in which we see him struggling as his daughter Anne takes charge of decision-making around his wellbeing - after a lifetime of him being in the driving seat. Annette Dowling is a tour de force as his daughter Anne, and Declan Finn uncovers the many layered character traits of Pierre, her husband. Jenny Cooper Burke and Michael McGloin play the versatile roles of ‘Woman’ and ‘Man’, respectively. Athlone Little Theatre warmly welcomes newcomer, Sukanya Hanumanthu, who is making her stage debut playing the role of Laura, Andre’s carer. In keeping with the playwright’s trademark, the play continuously asks questions of the audience and keeps us guessing as the relationships between the characters unfold. One of those questions is, do our personal histories belong to us forever – even if we wind up living with total strangers? 'The Father', translated by Christopher Hampton, opens on Saturday, April 6, and runs for eight nights until April 13 (inclusive ). Curtain is at 8pm. Book online at www.athlonelittletheatre.ie or ring (090 ) 6474324. This amateur production of 'The Father' is presented by special arrangement with SAMUEL FRENCH LTD.